On the trail of the last autochthonous Italian einkorn (Triticum monococcum L.) and emmer (Triticum dicoccon Schrank) populations: a mission impossible? In 1970s it was thought that two species of ‘farro’, namely emmer (Triticum dicoccon Schrank) and einkorn (T. monococcum L.), were no longer present in Italy, but in 1981, some populations were discovered in a mountain area of the Appennino Sannita (central southern Italy). In 2006/2007 three monitoring missions were carried out to check the current situation of these ancient hulled wheats, specifically in the same areas where they were formerly collected. The same zones were also investigated by both paleo-ethnobotany and agrobiodiversity points of view. The results of this research have shown that nowadays einkorn is completely extinct while emmer is still cultivated in very few traditional farms, mainly as a fodder crop. A strong genetic erosion was detected also for emmer and several nowadays samples were contaminated by seeds of modern spelt (T. spelta L.) varieties. In the present study the causes of this genetic erosion and which safeguarding actions to be undertaken are discussed. Dedicated to Dr. Pietro Perrino on the occasion of his retirement (1st May 2008). 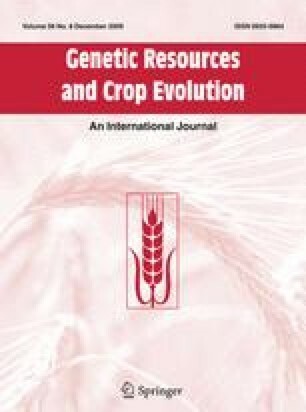 Many thanks to Mr. Salvatore Cifarelli (technician of CNR—Institute of Plant Genetics, Bari) author of drawing and photos reported in this paper and for his professional assistance during the monitoring missions.